The 25-year-old woman who was apparently beaten to death with a hammer, allegedly by a good friend and the friend's boyfriend, then dismembered and left in black plastic bags at various New York City parks witnessed her own mother murdered when she was barely a teenager, relatives and police say. How Lisa Marie Velasquez died capped a brief life of epic tragedy for a young woman who told family members nine days ago she had to race out of her Bronx apartment to help a friend in danger. She grabbed a bag and rushed out. Her family never saw her again. Two people were charged in her death late Wednesday, including 30-year-old Ciara Martinez, who told reporters, "She was my friend, I loved her," as she was being led out of an NYPD station house. Velasquez's remains were initially found scattered around two Bronx parks a couple miles miles apart, and then in other locations in recent days. The medical examiner released her identity Wednesday, ruling she died of skull-crushing blows to the head. Law enforcement sources tell News 4 those blows came from a hammer. 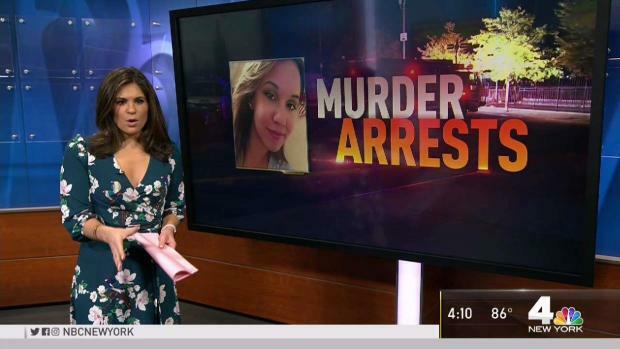 The woman whose body parts have been found in parks in recent days was identified as 25-year-old Lisa Velasquez, who had an life clouded by tragedy. Erica Byfield reports. 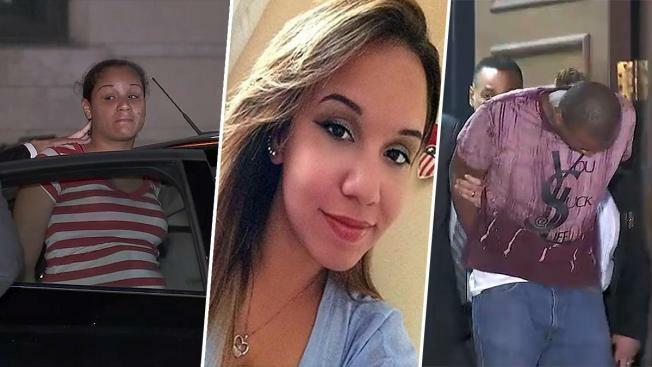 Law enforcement source say Martinez had gotten into a fight with her boyfriend, 31-year-old Daquan Wheeler, in their Bronx apartment on Aug. 21, and she called her friend Velasquez for help. Velasquez called police, and Wheeler, angry that she'd gotten police involved, killed her with a hammer. Wheeler and Martinez then used a machete to cut up her body parts, a law enforcement source said. 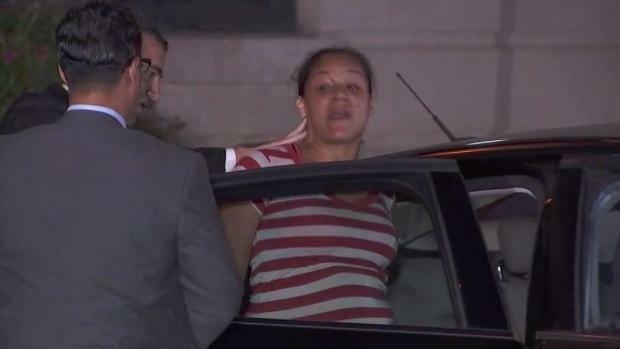 When detectives went to the suspects' shared apartment in the Bronx, it smelled like bleach and there was a fresh coat of paint in the bathroom, according to the source. "The way she was tortured, for Christ's sake, she didn't deserve that," said Velasquez's distraught aunt, Jacqueline Perez. "Who in their right minds would do something like this? She's my niece. She didn't deserve this." Velasquez may not have deserved her fate, but she was no stranger to tragedy. In 2006, when she was only 12 or 13 years old, Velasquez's pregnant mother was murdered in front of her and her siblings. Cops said the mother was beaten, stabbed and strangled by her on-again, off-again boyfriend, who was arrested in the killing. For Perez, the coincidence is eerie, hurtful and sickening. "In this lifetime, I never thought we would go through this again," said Perez, who is also a survivor of the 9/11 terror attacks. "This is the second episode ... the type of animal that would do something like this to a human being." A man and a woman have been arrested and charged with murder in the death of a woman whose body parts were found scattered around NYC parks, cops say. Tracie Strahan reports. Perez's mother, Velasquez's grandmother, was too distraught to speak after seeing the young woman's picture in the news. For Perez's part, she says her pain is more real now -- knowing her niece is gone -- than it was when she first learned it was her body in the parks. "My mother is never going to be the same," Perez said. "She wasn't the same after the daughter's murder, now it's worse." "We all feel destroyed because this is devastating. You can't even -- I can't even describe what I'm feeling or what the family feels." The words Martinez uttered as she was led out of an NYPD precinct Wednesday -- "She was my friend, I loved her" -- hit especially hard for Perez. "No true friend would say that," she said. Wheeler and Martinez were arraigned on charges of murder, manslaughter, concealment of a human corpse, tampering with physical evidence and criminal possession of a weapon Thursday night. Martinez was remanded back to jail until her next court appearance Sept. 4; prosecutors said she has prior bail jumping and robbery convictions. Wheeler, who also has a prior conviction, was remanded back to jail as well until Sept. 4. "I want them to be chopped up just like my niece was," an emotional Perez said. "I couldn't even identify my niece today." "She was loving, nurtured, and everybody loved her and she's gonna be missed," family friend Lisa Rivera cried at a vigil outside Velasquez's Melrose apartment building Thursday.